Update: The proposal has been scaled back to just a single street. Everyone loses. There is a key decision point on Friday 10th Nov for Easton Safer Streets. Please show your support using the button below. 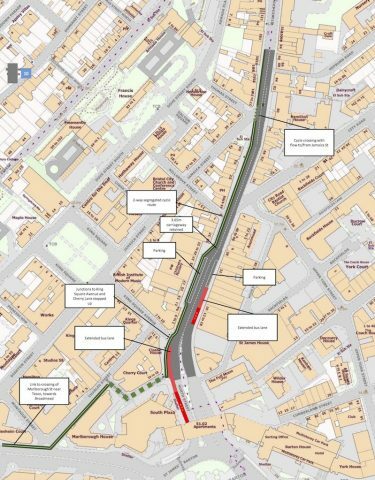 This is Bristol’s first attempt to make a big difference to the vitality of an area by a joined up approach to through traffic (rat-running), rather than a piecemeal street by street approach. Of all the projects in the Cycling Ambition Fund package this is the one with the greatest potential to benefit whole communities, and offers a model for other areas. It continued after local councillors backed down on rat run measures in Windmill Hill Deterring through traffic in Windmill Hill. There has been a very extensive and detailed ‘co-design’ process involving hundreds of people and dozens of events and meetings, lead by Sustrans. The final design proposals are being considered on Friday 10 November 2017 by the six councillors of the Easton, Eastville and Lawrence Hill wards to decide whether to move on the next stage of formal consultation. As with all such proposals there is a vigorous lobby against change. We are encouraging everyone who lives in the area, or is affected by the changes, or who would like safer streets in their area, to contact the key six councillors to show their support. We’ve made it easy for you with this button which will open an email with all the info ready for you to add any comments.